Image courtesy of Warner Bros. Pictures/WARNER BROS. ENTERTAINMENT, INC. Eddie Redmayne as Newt Acamander and Jude Law as Albus Dumbledore. 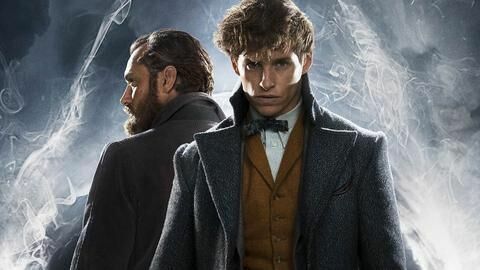 The newest movie in J.K. Rowling’s Wizarding World, “Fantastic Beasts: The Crimes of Grindelwald,” was released on Nov. 16 and is the second installment in the five-part series. “The Crimes of Grindelwald” starts off with Gellert Grindelwald (Johnny Depp) escaping from prison with the Magical Congress of the United States of America. We are also covertly shown that Grindelwald has The Elder Wand, which will become a big plot point in the future films I’m sure, but here is just giving a detail shot so those familiar with the Wizarding World can pat themselves on the back for recognizing it. Immediately switching gears, the film flashes to Newt Scamander (Eddie Redmayne) and his trusty side kick, Pickett the bowtruckle, waiting in the Ministry of Magic. The good news is Scamander remained awkwardly adorable throughout the film, teaming up with the Muggle Jacob Kowalski (Dan Fogler) from the first film to provide most of the comic relief. 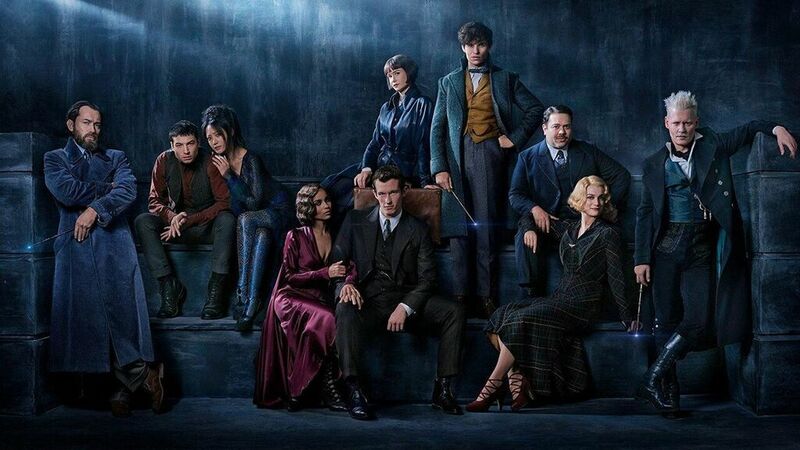 Without giving too much away, Scamander and Kowalski eventually join forces with Porpentina “Tina” Goldstein to track down Credence Barebone (Ezra Miller) who is now in Paris, France and try to keep him away from Grindelwald who is initiating his campaign against non-magical people. Fantastic Beast lead characters pose together for film poster. And sadly, the plot doesn’t really thicken after that. There are a lot of characters with recognizable names that pop up: Leta Lestrange (Zoë Kravitz), Nagini (Claudia Kim), and even a young Minerva McGonagall (Fiona Glascott), and it is fun to see these characters and try to figure out how they contribute to the world of Harry Potter that we already know. But how could I almost forget to mention the most exciting part of this movie: young Albus Dumbledore! Jude Law does a great job of portraying the mysterious icon that everyone loves and does not get enough screen time in my opinion. Yet, the climax of the plot is not what I would have liked it to be. The whole movie focused on Bareborne and his family, and frankly, this is not a main plot that I really care about. The title of the movie is “Fantastic Beasts: The Crimes of Grindelwald.” And while I think they do a great job of incorporating the fantastic beasts throughout the film, I wanted more of Grindelwald and his crimes. The ending however, that was a twist that I did not see coming and that I still do not agree with. I’m not going to spoil that because you need some motivation to go see this film, but I will say that I don’t think it is true. At all. For me, this film was not the best to come from the Wizarding World. It was like a half-film, introducing new problems to set the stage for the craziness of the next film and giving no real answers whatsoever. Don’t get me wrong, I enjoyed the movie. The acting was great, we got to see some cool, new magical creatures like a kelpie and a kappa. We are introduced to Nagini, who later becomes one of Voldemort’s horcruxes, but at present is just a girl with a curse who has befriended Barebone. I am very interested to follow her journey through the next three movies. I think the cast and the characters are what held this movie together. We are getting into the background of the Deathly Hallows and all of the lore and stories we see and hear about in the Harry Potter books/films, and it is exciting despite the “filler” nature of this film. I will of course be buying this when it comes out on DVD and will be anticipating the release of the next film, I just hope we get some more concrete explanations and some answers. I rate this film 4/5 stars on principle but Warner Brothers, please do better. I want 6/5 stars.